Are you looking for an interesting, challenging career that offers long term stability and great earning potential? At Guardian IPCO, we have the environment for which you are looking. Our focus on the future helps our employees set their career goals and plan their paths for success. We recognize that our employees are our most valuable resource so we invest heavily in training and mentoring to insure their success and personal growth. Our atmosphere is informal and structurally different from larger companies. Each employee makes a difference at Guardian IPCO. 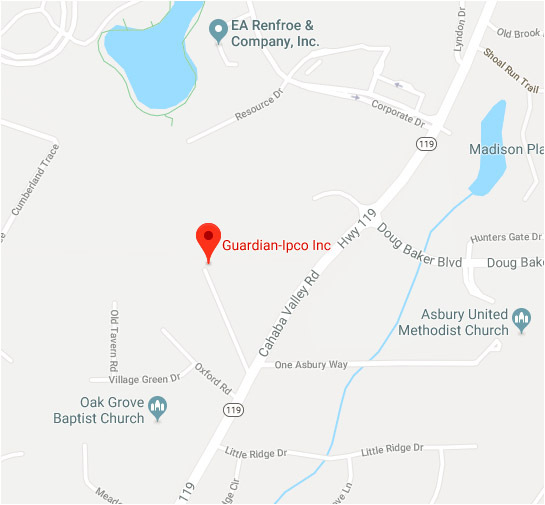 Guardian IPCO hires, trains and retains an expert team by providing a dynamic, safe, and goal-driven career environment that encourages its members to excel in practical and interpersonal arenas. Our employees are encouraged to master all facets of the Guardian IPCO operation. We are structurally different from larger companies, as we supports no large, multi-leveled bureaucracy. Our representatives are essentially their own bosses, performing to their own personal best. If you have the following knowledge, skills, and abilities, we want to meet you. We are seeking full time CDL-A or CDL-B employees for production work and customer service. The Hazmat endorsement on your CDL is a huge benefit and is expected within 30 days of your employment with us. The employee will work in a manufacturing facility in the production of specialty chemicals. Also, we offer point of use enhanced delivery service to our customers which is a large portion of this job. Employee will make deliveries to a large variety of clientele and work with the customer to make sure our products are delivered on time and per the customers’ specifications. We establish and maintain close relationships with our customers and they know our workers by name. Please Email Your Resume to Cindy Mitchell. Responsible for managing water treatment programs at established customers and supporting the sales team in our continuous growth. A key requirement of the position is the ability to build and maintain relationships at every level of the customer’s organization from maintenance staff to upper management. Candidates should have a bachelor’s degree in engineering or science background. Please Email Your Resume to Cindy Mitchell. Responsible for managing water treatment programs at established customers and growing sales for the company in our continuous growth.